Rollable Acrylic Adhesive for Luxury Vinyl Tiles suitable for bonding of luxury vinyl tiles (LVT) on suitable substrates in interior areas. 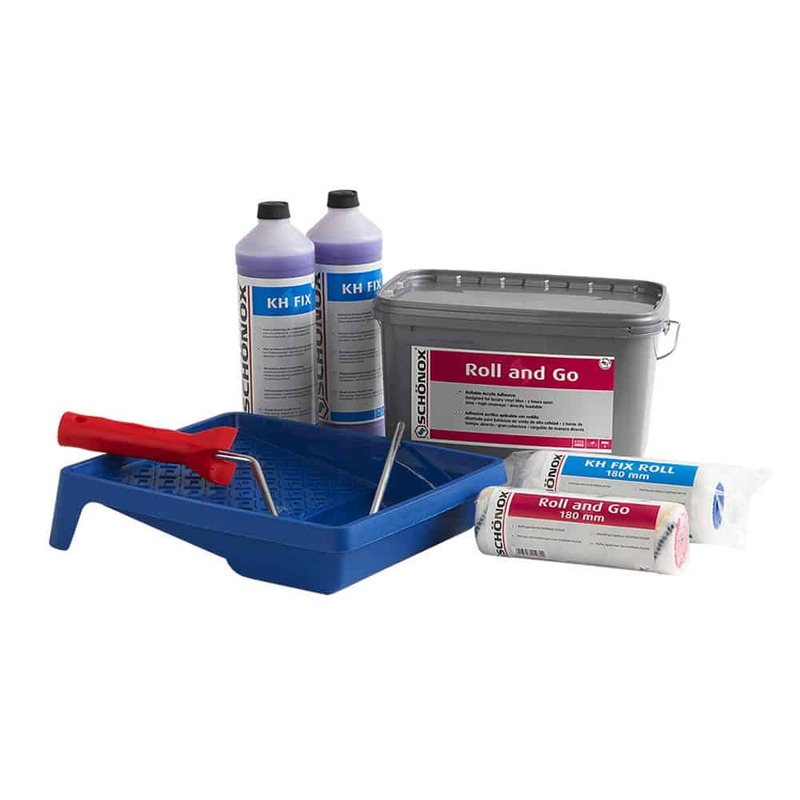 Roll and Go™ adhesive also available in separate 2.77 gallon containers. 1 Schönox Roll and Go™ 4 kg/1.06 gal. 2 Schönox KH Fix 1 kg/0.25 gal.